It’s a topic that warrants immediate and serious discussion both across the country and within our own backyard: What can be done to ensure our children are safe at school? 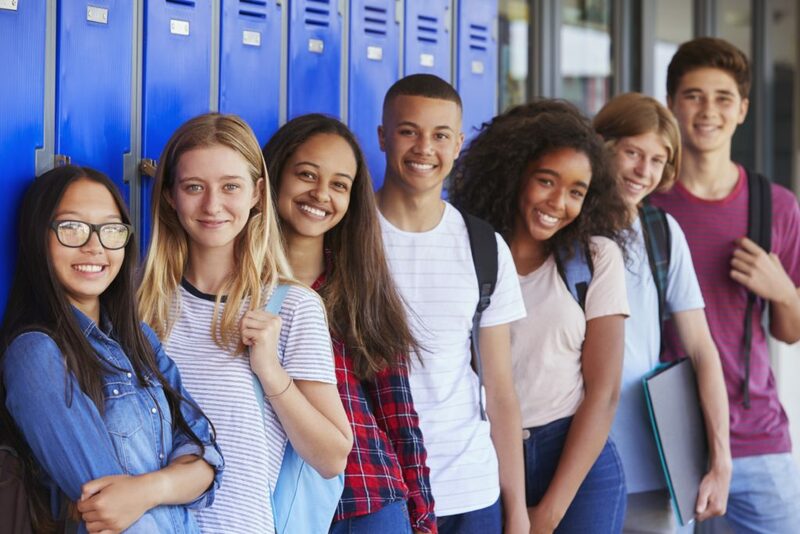 The City of Lakewood is partnering with the Lakewood City School District and LakewoodAlive to host a community forum – entitled What’s Our Plan: A Community Conversation About School Safety – on Thursday, April 12, from 6:30 to 8:30 p.m. in the LHS Cafeteria at Lakewood High School (14100 Franklin Boulevard). This community conversation will offer an opportunity to engage in constructive dialogue on how we as community members can work together to better ensure safety within our schools. Lakewood’s School Safety Community Forum takes place on April 12. Both the general public and members of the media are invited to attend this free forum, which will cover topics ranging from mental health to police protocol to the preventative roles we can play as community members. The forum will also include information regarding safety and security procedures already in place within the Lakewood City School District. Moderator Joe Lobozzo, Social Studies Department Facilitator at Lakewood High School, will oversee a collection of panelists comprised of community leaders, local law enforcement and students. He will be accompanied by Lakewood High School senior, LaNiqua Jones, who will assist with the moderation of the discussion. The final 30 minutes of the conversation will be devoted to panelists fielding questions from the audience. In the wake of the tragic school shooting in Parkland, Florida on February 14, school safety has been thrust into the national spotlight. Last week hundreds of Lakewood High School students participated in the National Student Walkout to bring awareness to the issue of school violence. LakewoodAlive hosts community forums addressing topics relevant to Lakewood citizens. 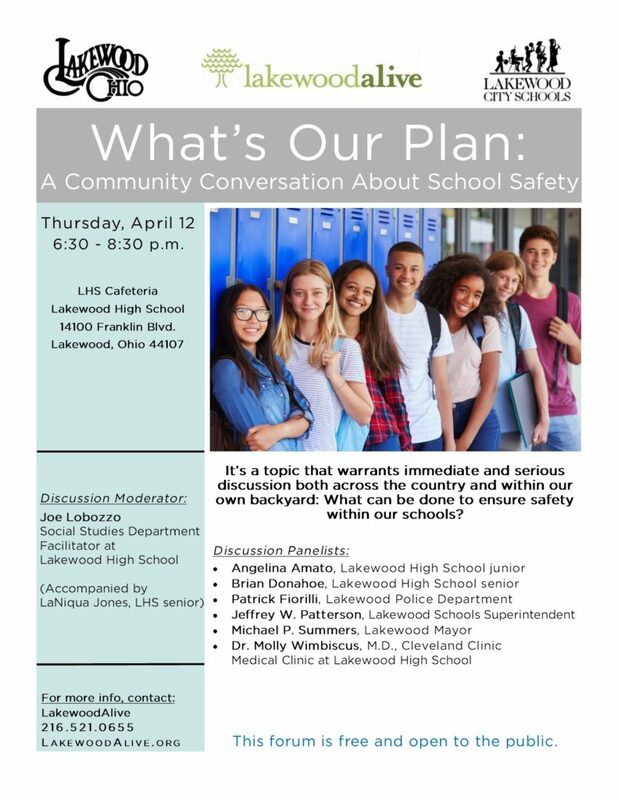 For more information regarding the “What’s Our Plan: A Community Conversation About School Safety” community forum on April 12, visit LakewoodAlive.org/CommunityForums or contact Executive Director Ian Andrews at 216-521-0655 or iandrews@lakewoodalive.org.